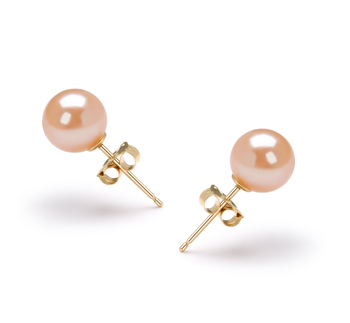 Pink pearl earrings are a subtle piece of jewellery that will flatter most outfits in a woman’s wardrobe. 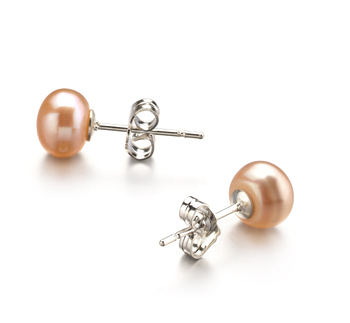 These types of pearls also compliment all skin tones. In order to choose the best shape and style for you, go over these tips before you buy a pair from our collection. 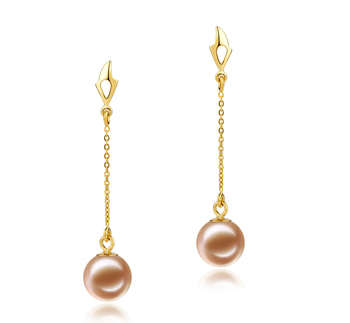 You will find that gold and pink pearl earrings are very versatile, making them suitable for all women’s wardrobes. Below are some suggestions to help you make the right choice from our collection according to your favorite outfit. 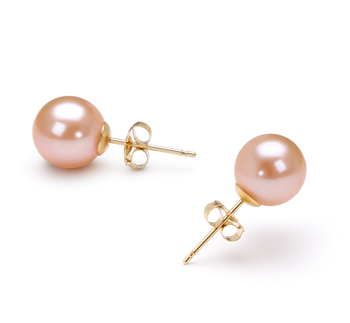 If you like to wear more sophisticated outfits such as evening gowns, then you will not go wrong with getting a pair of our beautiful pink Freshwater pearl earrings. These style of earrings will help to add a touch of polish to any business outfit, so helping you to look professional in the office. 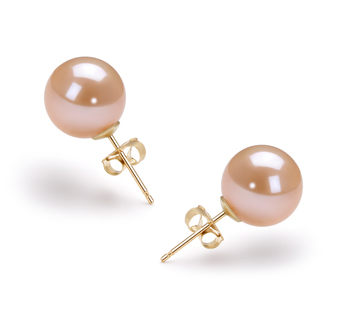 A pair of simple pink pearl button earrings will add a touch of sophistication to any casual outfit in your wardrobe. 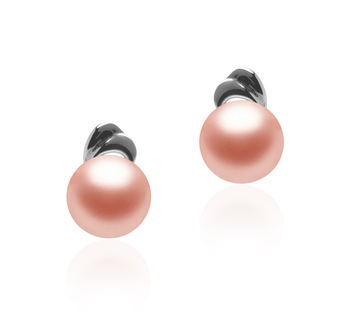 If you don’t like to wear big bold jewellery then a pair of stud earrings containing small pink pearls is a great alternative. These are suitable for all different face shapes and will brighten up any complexion. 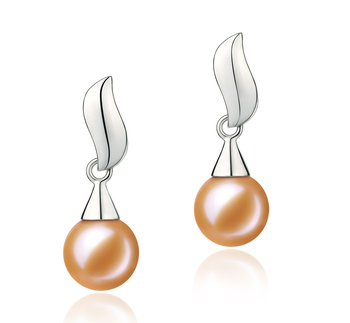 Pearls no longer are seen as a symbol of conservative and demure outfits. 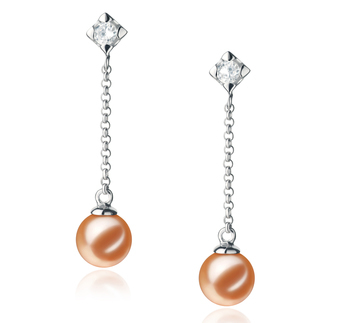 If you love to dress in a more playful way then you can rely on such earrings to brighten up your outfit and complexion. 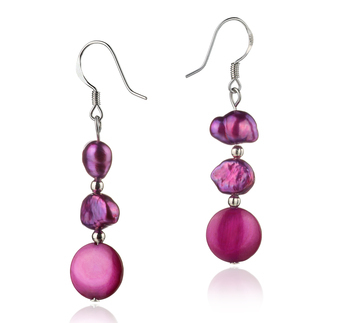 A pair of bright pink pearl earrings will be hard to miss and go very well with vivid patterns as well as cute updos. 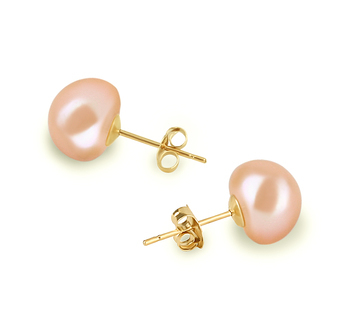 It is best if you keep small pink pearl earrings for wearing during the day and choose a pair with much larger pearls in them for going out in the evening. 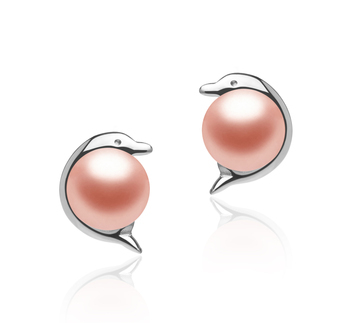 The various shapes that such pearls come in also provide you with an idea of when they should be worn. 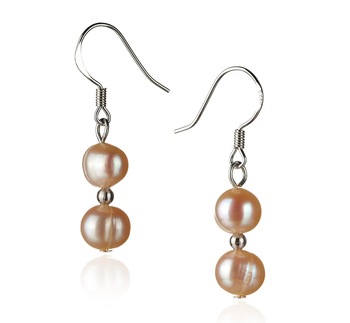 If you aren’t afraid to turn heads then you will love wearing a pair of semi-baroque shaped pearl earrings. 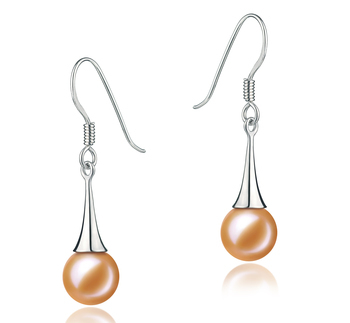 Our fishhook sterling silver designs are the ideal style to be worn to parties or with any of your summer outfits. 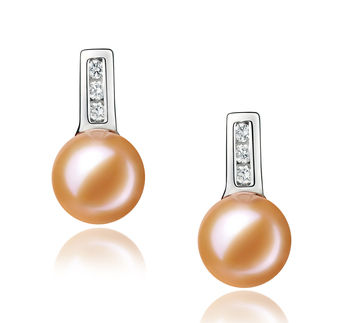 The pearls iridescent colors will easily be seen in the 7mm-8mm gems. 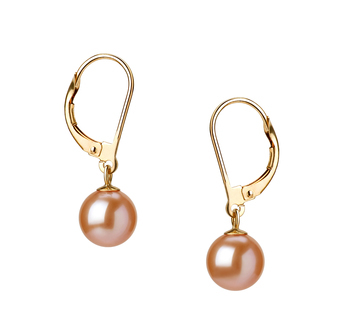 With their unique appearance pink semi-baroque pearls help to give these earrings a very luxurious and exotic feel. 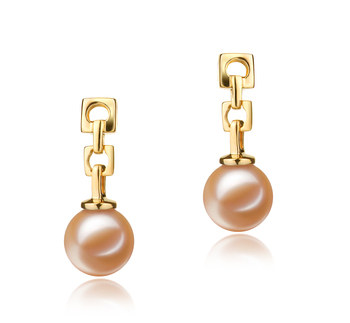 This is, of course, the classic shape of such pearls and makes them the perfect accessory for stylish women who also like to feel elegant. 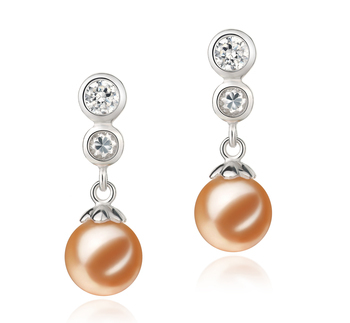 It is their luster that helps to make round pearls so beautiful. 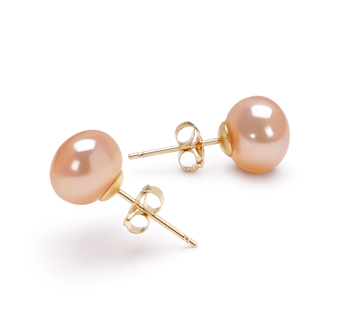 To elevate even a semi-formal outfit you cannot go wrong with a pair of gold and pink pearl earrings. 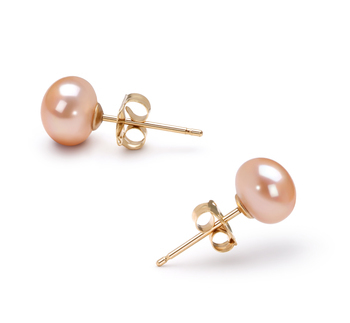 These are the cutest style of pearl earrings you could think about buying. Not only are they suitable for young women to wear, but also for more petite women as well. 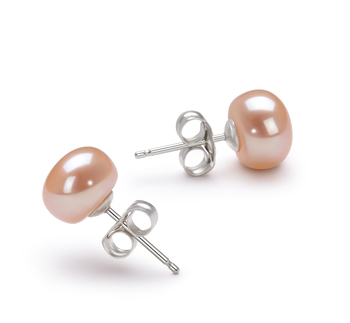 A beautiful pair of pink pearl button earrings would make a wonderful gift to present to your daughter, granddaughter or niece on their 16th birthday or their graduation. 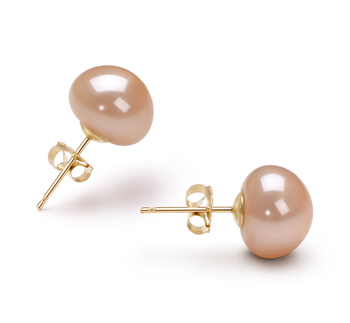 These delicate and feminine earrings won’t overwhelm any outfit and can easily be paired with other accessories or even a matching bracelet or necklace. 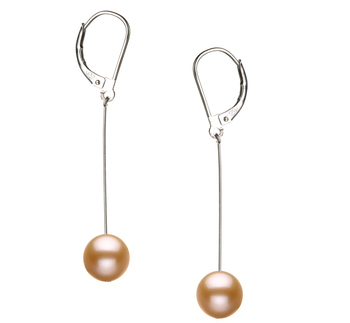 For the more modern woman who is looking for more sophisticated jewellery then this style of earring is ideal for them to have in their jewellery box. 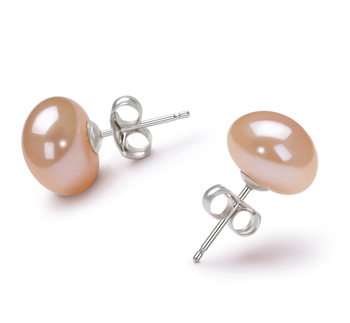 A lovely pair of pink Freshwater pearl earrings that have been set in silver will flatter most complexions, and help to brighten up a woman’s face.